Dr. Ma was excellent. Her examination was thorough and she explained everything in an easy to understand manner. I wouldhighly recommend Dr Ma. Dr. Ma was excellent. Her examination was thorough and she explained everything in an easy to understand manner. I would highly recommend Dr Ma. This was the first time I used Zocdoc to find a doctor. The other reviews were very helpful and I wasvery please with this experience. This was the first time I used Zocdoc to find a doctor. The other reviews were very helpful and I was very please with this experience. Practicing at MDCS: Medical Dermatology & Cosmetic Surgery Center, Dr. Michelle Ma is a reputed physician specializing in dermatology. Dr. Ma earned her medical degree from New York University, following which, she completed a residency in dermatology at the Albert Einstein College of Medicine of Yeshiva University. Dr. Ma currently sees patients in four locations – Plainview, Smithtown, Hampton Bays, and New York, NY. She is able to serve patients in these locations by collaborating with highly qualified and experienced staff, who strive to provide the best medical care. Patients visit her for a wide spectrum of common and specialized medical needs pertaining to the skin, including facial wrinkles, biopsies, freezing of warts, pigmentation, and nail problems. 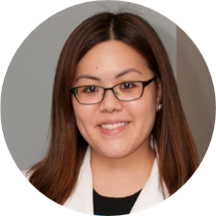 Dr. Ma is sensitive to the uniqueness of each patient's situation and adapts her consultations and treatment options appropriately to accommodate individual needs and concerns. She is dedicated to helping patients receive the treatment they need so they can enjoy a positive and fulfilling lifestyle. Dr Más is very professional . Dr. Ma is very thorough and professional. I would highly recommend her. Dr Ma was wonderful, she was so friendly and knowledgable. The office staff was very friendly as well. I enjoy my routine skin screening checking here. Everyone here is thoughtful and friendly. I was pleased with everything ???? She addressed the problem I had. She was very sweet and nice. I would definitely recommend her. I will see her again. I made an appointment for my daughter, 15, for a general consultation for a discoloration on her abdomen. Dr. Ma and the staff were very kind and professional. Dr. Ma was thorough and answered our questions while making us feel comfortableand confident in her care. She went beyond what our original appointment was geared for and also gave my daughter prescriptions to help clear up/prevent further breakouts on her forehead and back. We both left feeling very happy with the care and consideration given to my daughter. As a new patient I was very pleased with everyone in the office. They were very thorough and eased my mind. I would highly recommend this office! And I only waited 5 minutes to be seen. Dr. Ma is a consummate professional with exceptional skills and a very confident and reassuring manner. She first places the patient at ease with her friendly professional manner and then provides her expert medical skills to the patient's needs...None better in my experience. Dr. Ma was very pleasant and thorough. Everyone in the office was very friendly and I would absolutely go back. i was (for some reason) a little anxious about this appointment because i’d never done a skin cancer screening before. i also had a couple of questions unrelated to the screening. dr. ma was wonderful, explaining everything with a calm demeanorand answering all of my questions thoughtfully and thoroughly without ever making me feel like they were silly. everyone was lovely in the office, too! i almost wish i had more skin concerns so i could go back; my experience was that positive! pleasant and friendly staff. Dr. Ma very thorough and very professional and reassuring. Dr. Ma was very professional but very kind and engaging. She explained everything to me. There was no wait. I would seriously recommend to her any time. Dr. Ma is a young bright and talented physician. She is thorough in her evaluations and clearly cares about her patients. The doctor was very professional and will continue to see her. From the time you walk in the front door to the time you walk out of the office the staff are very professional and have great bed side manners! Dr Ma was excellent! Very personable and professional! I will definitely recommend Dr Ma and the practice! They were excellent! Michelle was so friendly and professional. The entire visit only took about 15 minutes before she had a diagnosis! I’m going back in three weeks for a check up. I was greeted immediately by the receptionist and thanked for completing my paperwork online. I was taken almost immediately. Dr. Ma was very professional and explained everything she saw and procedure she did. I'm glad I decided to come here. She's my new permanent dermatologist.